April 23, 1985 is a day that will live in infamy. By July it was over. Coca-Cola announced that it would once again produce “old Coke,” and in a sign (I’m sure Fidel Castro would say) of American arrogance, also announced that “old Coke” would be produced under the name “Coca-Cola Classic” alongside “new Coke” which would continue to be called “Coca-Cola” suggesting that “new Coke” would be the Coke of today as well as the future. By 1992, however, “new Coke” whose sales dwindled to 3% of market share was demoted to “Coke II” and by 2002 was discontinued entirely. The moral of the story: Change the recipe at your own risk. In the next case, Castro v. City of Thousand Oaks, Case No. B258649, California Court of Appeals for the Second District (August 31, 2015), the corollary might well be change the recipe design at your own risk. In Castro (no relation to Fidel I don’t believe), Griselda Castro, her two children, and two other children in her care, were walking in the crosswalk at the intersection of Live Oak Street and Thousand Oaks Boulevard in Thousand Oaks, California when they were struck by a SUV approaching westbound which failed to see a warning beacon. Fortunately no one was killed. Unfortunately for the City of Thousand Oaks (“City”), however, Mrs. Castro sued. 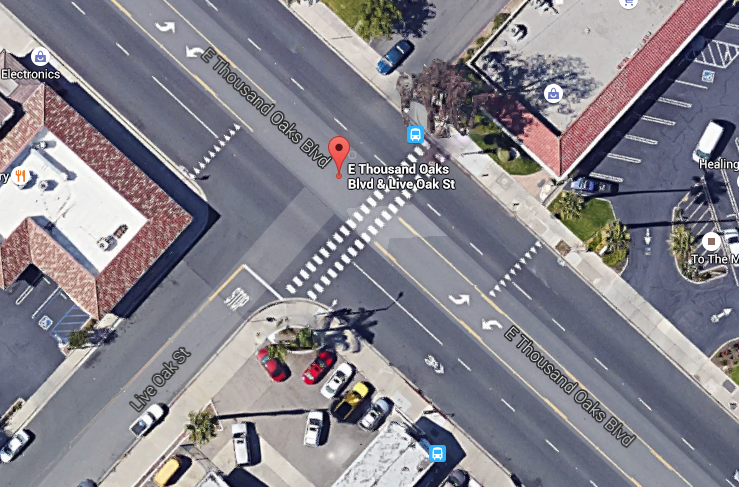 She alleged that the intersection which crosses two eastbound lanes, two westbound lanes and a center turn lane, and is controlled by a stop sign where Live Oak Street intersects Thousand Oaks Boulevard, was a dangerous condition on public property. Between 2010 and 2011, safety improvements were made to the intersection as part of the City’s Street Rehabilitation Project. The project plans included: (1) “pedestrian ahead” warning signage on sidewalk posts in advance of the crosswalk; (2) a “Ped Xing” legend on the pavement; (3) triangular yield lines painted on the pavement with “yield here” signage in front of a painted “triple four” crosswalk design with reflective markers; and (4) a yellow pedestrian sign with a downward arrow at the crosswalk. A warning beacon was listed in the project plans but was removed before the City Council approved the project. After the project was completed in 2011, the City’s Engineer authorized the City’s Traffic Engineering Division Manager to purchase and install the pedestrian warning beacon. Neither a public entity nor a public employee is liable under this chapter for an injury caused by the plan or design of a construction of, or an improvement to, public property where such plan or design has been approved in advance of the construction or improvement by the legislative body of the public entity or by some other body or employee exercising discretionary authority to give such approval or where such plan or design is prepared in conformity with standards previously so approved, if the trial or appellate court determines that there is any substantial evidence upon the basis of which (a) a reasonable public employee could have adopted the plan or design or the standards therefor or (b) a reasonable legislative body or other body or employee could have approved the plan or design or the standards therefor. Mrs. Castro argued that because the pedestrian warning beacon was not part of the approved plans that the design immunity defense – which was intended to prevent juries and judges from second guessing design decisions approved by public entities – was unavailable to the City. Substantial evidence supporting the reasonableness of the plan or design. In response to Mrs. Castro’s contention that the pedestrian warning beacon was not part of the approved plans, the City argued that the City’s municipal code authorized the City’s Engineer to “place and maintain, or caused to be placed and maintained, all another traffic control devices where, in the opinion of the City Engineer, such official control devices are necessary to protect the safety of the public.” As such, the City argued, the City’s Engineer had discretionary authority to order the placement of the pedestrian warning beacon. 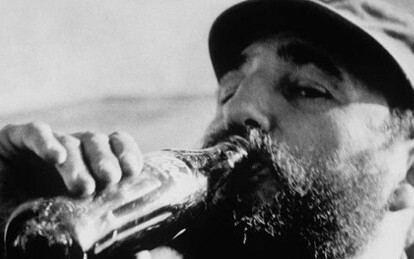 While “new Coke” was a lesson in marketing, “new design” in the Castro case was a lesson in the law. So to sum it all up, to establish design immunity under Government Code section 830.6, a public entity must show, among other things, that the plan or design was approved before the construction or improvement, and the authority of a city engineer to unilaterally implement his or her own plans or designs does not constitute discretionary approval under Section 830.6.